The labor movement is weak and divided. Some think that it is dying. 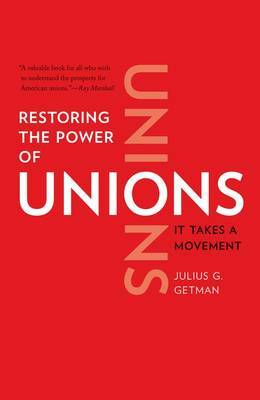 But Julius Getman, a preeminent labor scholar, demonstrates through examination of recent developments that a resurgent labor movement is possible. He proposes new models for organizing and innovating techniques to strengthen the strike weapon. Above all, he insists that unions must return to their historical roots as a social movement.